Get an up-close look at the Theatre District with a guide who is actively working on Broadway. Explore the history of Manhattan's famous entertainment scene and hear backstage stories from performers and directors who call the Great White Way home. Your tour begins in Times Square by the statue of George M. Cohan, the entertainer and producer who helped to define American musical theatre. From there, you can follow the footsteps of some of American history's greatest performers, from Humphrey Bogart and Judy Garland to Julie Andrews and Phillip Seymour Hoffman. As you walk through the weaving streets and alleys, stop in front of historic theatres and hear backstage accounts of those who danced, sang and acted within. Listen to your guide's stories about breaking into show business, hear what the audition process is really like and how to get the attention of casting agents or directors, and see how Times Square evolved into the entertainment powerhouse it is today. Finish the tour with a wealth of inside knowledge about the capital of American theatre, as well as a new appreciation for life on the stage. Children aged 12 and younger are complimentary. Eric was a wonderful tour guide! 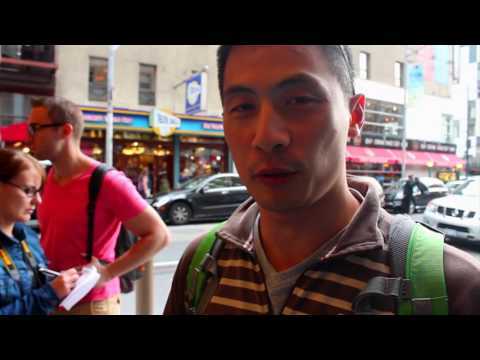 I liked the various information we got about different Broadway theaters as we walked. Great guide with excellent knowledge and presentation. Worth every penny or dollar should I say. Would recommend it to anybody.